Skeptics are crying foul over a Facebook post by French President Nicolas Sarkozy that suggests he was in Berlin the day the wall began to fall. French journalists who covered the Nov. 9, 1989 events raised alarm bells over the well-timed note on Sarkozy's Facebook page, posted Sunday. 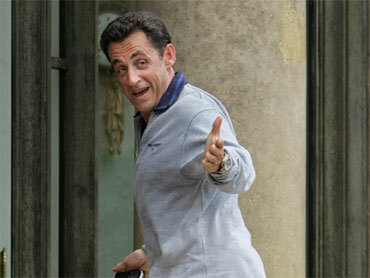 Sarkozy is in Berlin for 20th anniversary celebrations Monday. The post is entitled "Memories of the fall of the Berlin wall, Nov. 9, 1989" and is topped by a picture of Sarkozy appearing to chip away at a graffiti-covered wall. Alain Auffray of the daily Liberation says Sarkozy couldn't have arrived so quickly because the events unfolded late in the day Nov. 9. Archives of French newspapers suggest Sarkozy went a week later, with a fellow conservative who later became prime minister, Alain Juppe.